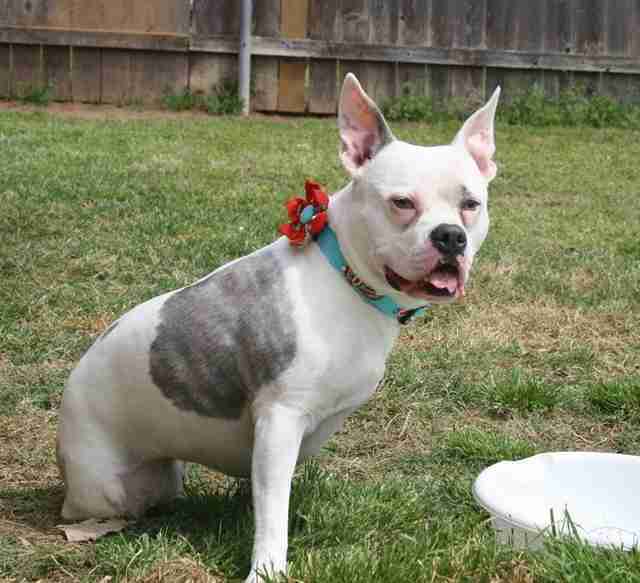 Emma is a little pit bull mix with a big personality - and even though a birth defect left her back legs completely paralyzed, this heartwarming video shows that her love is bigger than her disability. 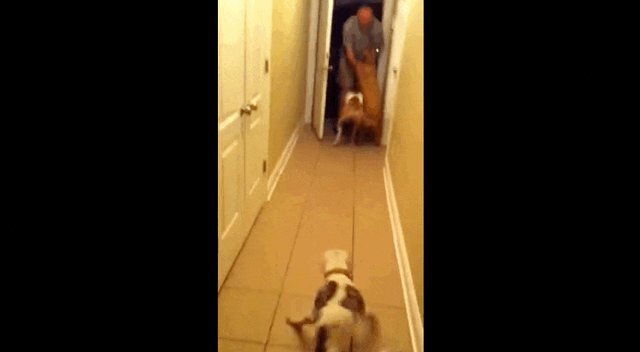 The video, filmed in 2013, shows Emma excitedly hurrying over to the front door to welcome her military dad home from a 6-month deployment. 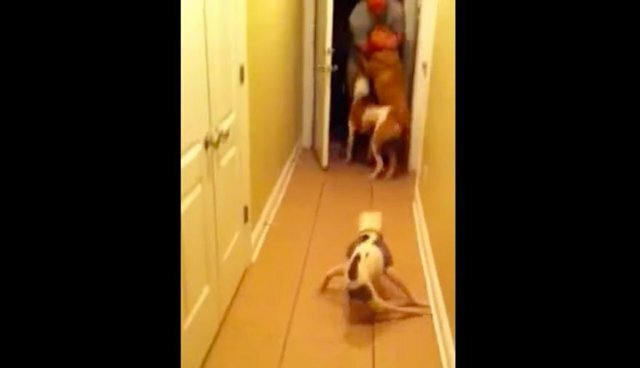 Even though Emma usually "sits at the end of the hallway and waits" when someone comes in the door, as the video description reads, she's making a special effort to reach her beloved human. 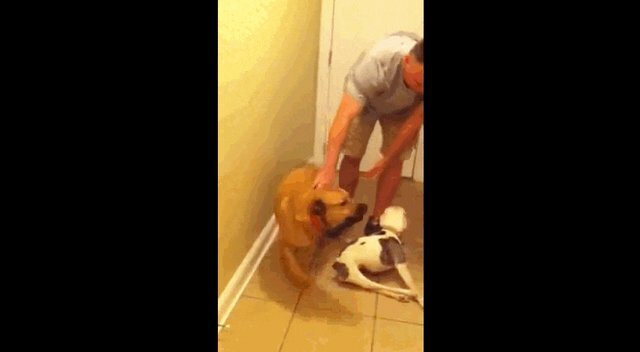 Emma may not be as fast as her doggie siblings, but she's just as excited to be reunited with Dad. Since the video was filmed, Emma's back legs were amputated to make her more comfortable. Her humans have a Facebook page where they post regular updates about the tough little dog, and she's just as happy and loving as ever.